Two teams of girls from Wycombe Abbey recently won Best Delegation Awards at the MUN Bilbao competition in Spain. The two groups were placed first equal at the prestigious international affairs conference, which attracted fifty teams from schools across the world. Ten pupils also won Best Delegate prizes, recognising excellence in their individual contributions to debate. The conference simulated a wide variety of international diplomatic forums including the United Nations Security Council, World Health Assembly and the Arctic Council. A number of resolutions drafted by the girls passed successfully through both committee and the General Assembly, proposing solutions to world problems ranging from reform of the global pharmaceutical industry to the crisis in Venezuela. Four senior girls also supported local pupils in organising and managing the conference, acting as chairs in a number of committees. Twenty-two Wycombe Abbey girls took part in the trip, which also included cultural excursions touring the Guggenheim Museum and sampling the legendary Basque cuisine in a special tasting. There was also opportunity to socialise with other delegates at a black-tie dinner and dance. 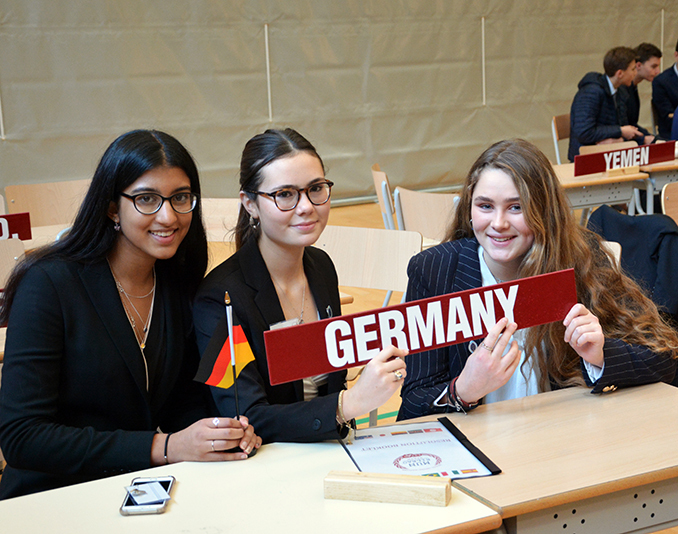 MUN requires young people to take on the role of international diplomats, researching the policies of a country that is not their own and representing these during negotiations. Wycombe Abbey has one of the largest and most active MUN programmes in the country.